Replacing windows or doors is a great way to improve your property whether you have single family home, rental property, or commercial building. New windows and doors will improve the aesthetic of your space and improve your energy efficiency at the same time. Just imagine saving hundreds of dollars per year on heating and cooling. Your brand-new windows and doors will soon pay for themselves! If you are getting ready to sell your property, new windows and doors add value to your property can command a higher selling price as well as attract buyers. Whether your property is a residential or commercial building, our team is well equipped to design and install your next window or door replacement project. Do you plan on doing Windows Replacement in Pasadena? Your search for quality fixtures is over - you’ve definitely come to the right place. Browse through our extensive online selections and feel free to call us and get in touch with a live agent who will be happy to assist you. Whether it’s windows, hardware, or interior or exterior doors, we do it all. 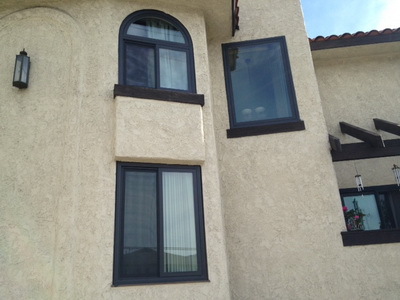 In addition to Pasadena, we also offer Replacement Windows in Sherman Oaks. If your windows or doors have been damaged or are aging, they may pose a risk for potential theft or petty crime. It’s well worth the investment replace your broken windows or doors to keep your loved ones safe. Old windows and doors can develop cracks or crevices that can also allow insects or rodents to enter your property. You will be surprise to discover how even miniscule cracks can allow pests in. Instead of risking an infestation, which is often costly and inconvenient, invest in a high-quality windows and doors for your property. Responsible property owners know that it is crucial to have windows that are secure to be able to maintain a clean, functional space. It’s simply the wise thing to do. Our Milgard Windows and Doors are strong and weather resistant, which goes a long way to helping you save on your energy bills. Our experienced team will work with you to select the best available model to fit the size of your property and style. It’s our goal to make it easy for you to select a model that fits your needs. All of our windows and doors offer energy efficient technology as well. If gaps can allow animals to enter, cold or hot air can enter just as easily. Installing new windows and doors will not only improve the security, cleanliness, and comfort of your building, but it may also save you money and improve property value as well. We are dedicated to providing Replacement Windows in Pasadena and surrounding areas. We are delighted to learn about each customer and property. It’s our passion to focus on customer service and customer satisfaction. If there’s any special requests you’d like us to accommodate, please feel free to let us know. Our goal is to have the final result of your window or door project fit your specific needs. Please contact us so that we can schedule a time for a trustworthy and reliable team member to visit your property and give you an initial quote for your door or window replacement project. We are looking forward to working with you to and to provide excellent value for your money in you next windows and doors replacement project. Call us today to schedule your on-location appointment to receive and estimate for your next renovation project and you will not regret it.